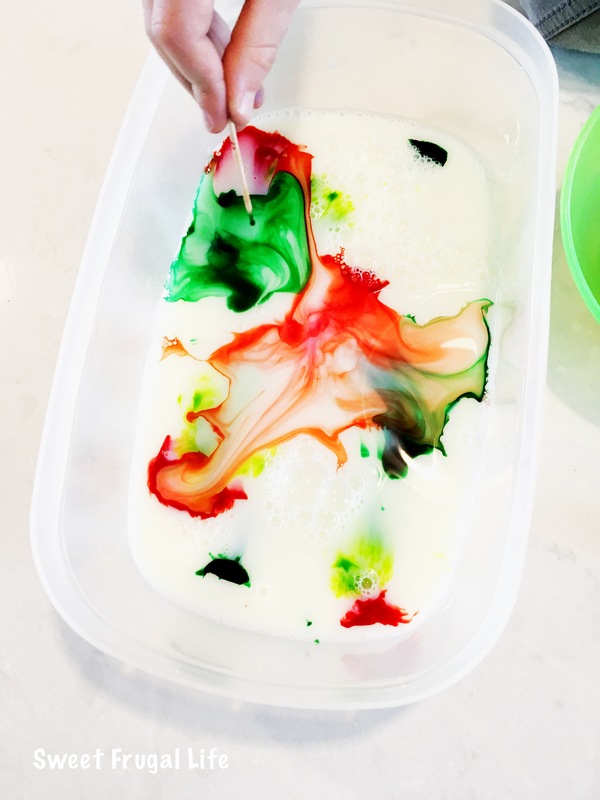 This science experiment is a really fun way to entertain kids at home. 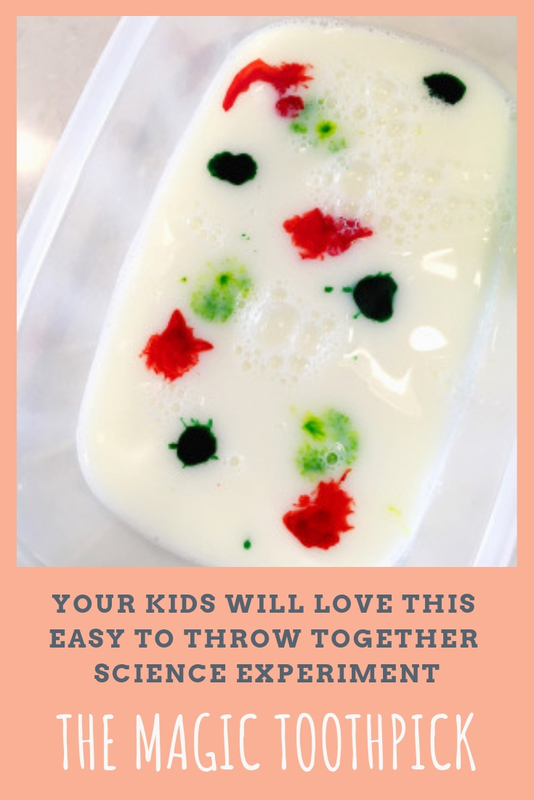 I always have the ingredients on hand and my kids love that it is hands on. It only takes a few minutes to have the experiment ready. Kids love to help get it all out and choose the colors. 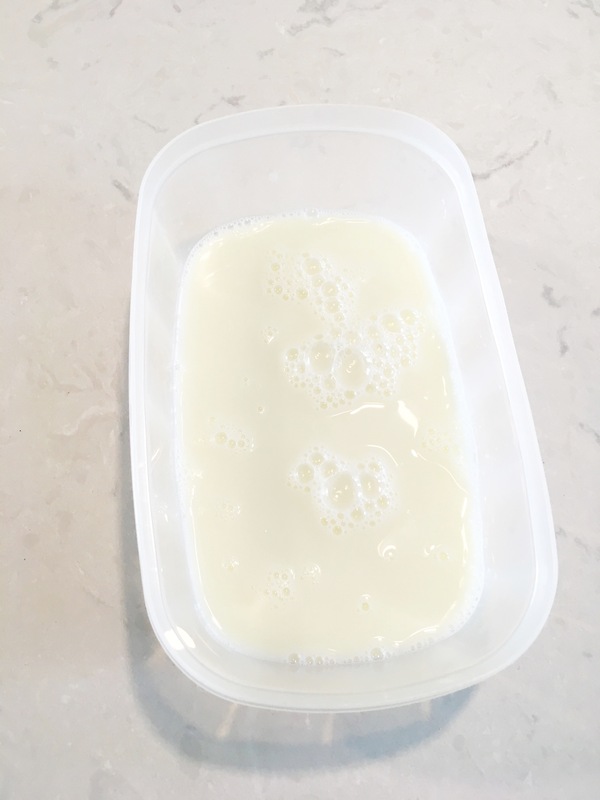 Pour some milk in a bowl. I like to use a wide shallow container. A pie tin would work great or anything you happen to have on hand. Pour enough milk in to cover the bottom. 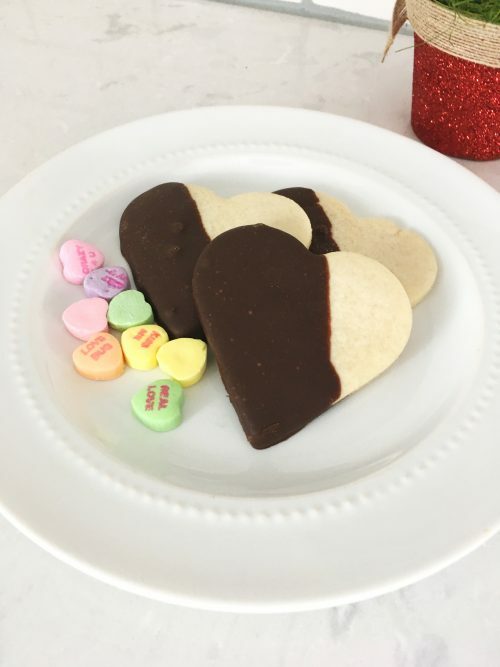 Now choose a few colors of food coloring. Today my son chose red green and blue. 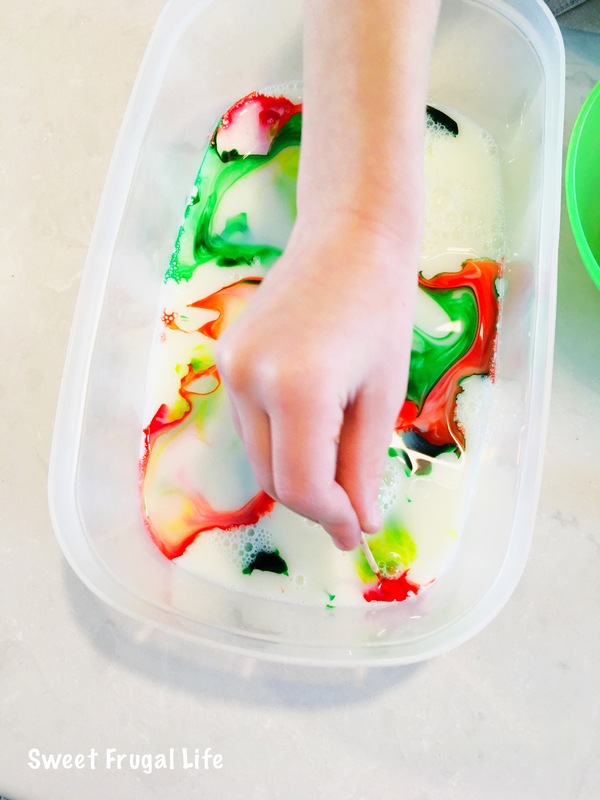 My kids love this neon food coloring. The bright colors are really fun. 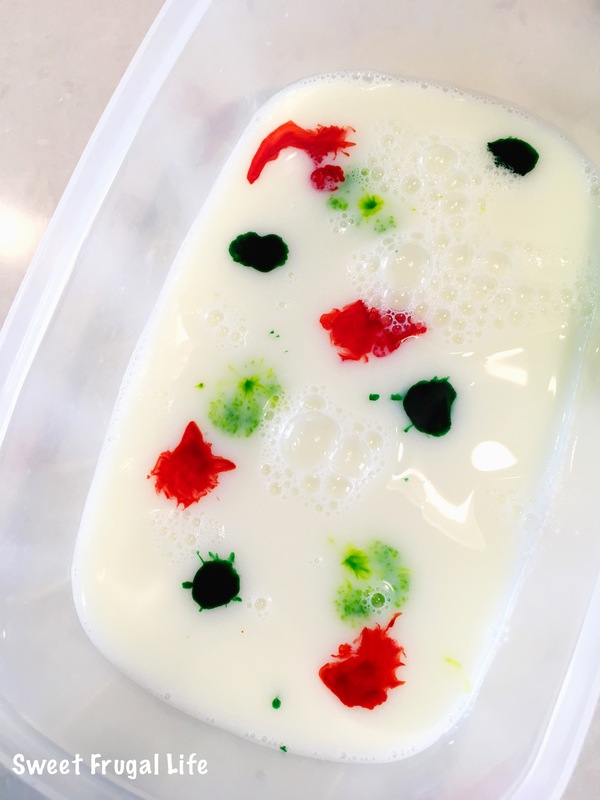 Drop a few drops of food coloring into the milk. Now comes the fun “magic toothpick” part! Pour a small amount of dish soap into a small bowl. 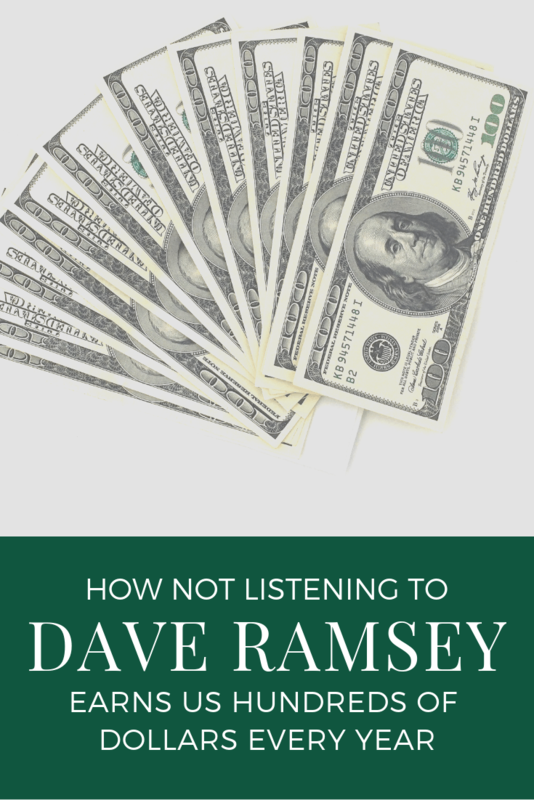 Get out a toothpick and dip it into the dish soap. 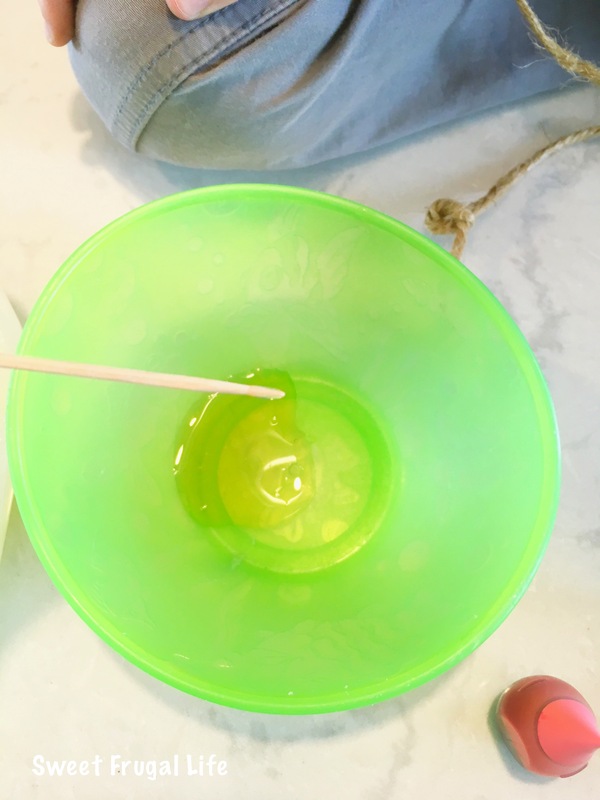 With the dish soap on the toothpick the science experiment is ready! 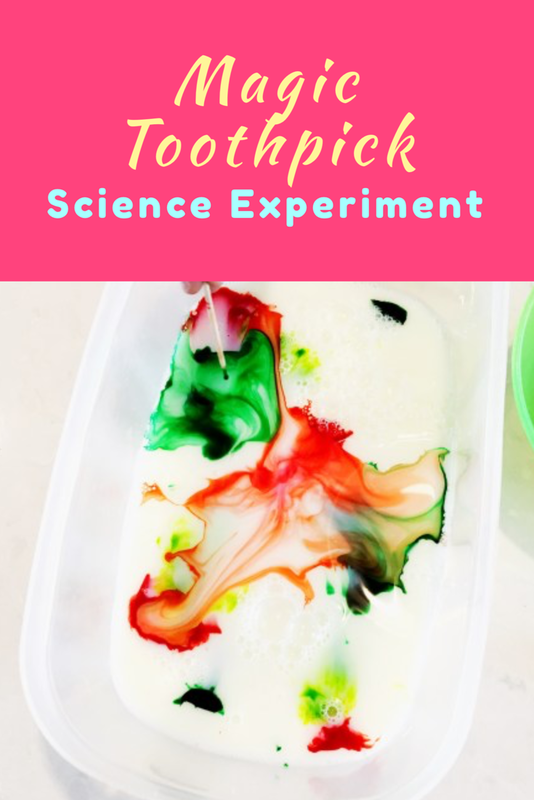 Lightly touch the toothpick to the drops of food coloring. The colors will spread and make beautiful designs. 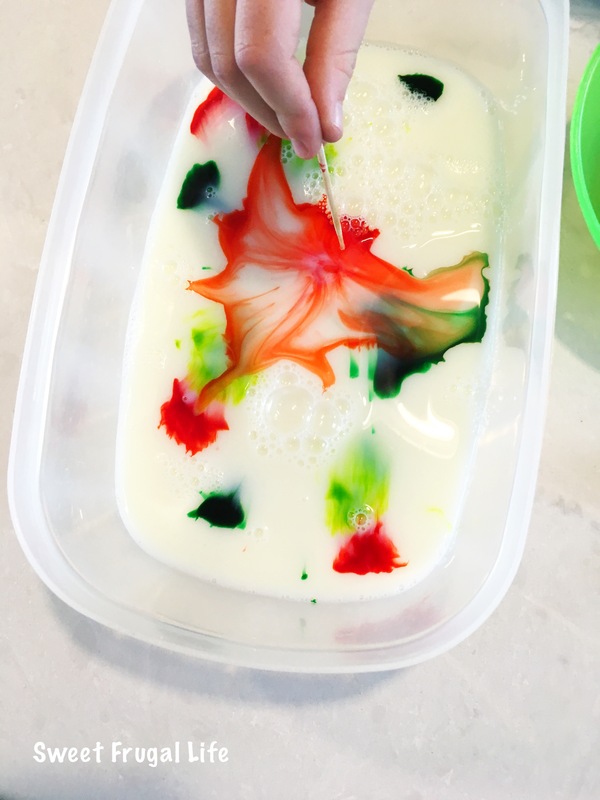 Your children will be sure it’s magic happening right before their eyes!